Burling Bank’s secure online banking system gives you the ability to manage your money anywhere, anytime. You can view your balances at a glance, or dive into the details with an in-depth history of your account. 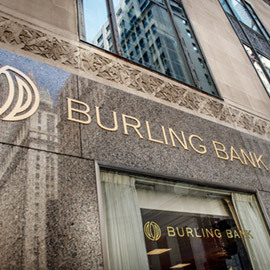 You can even pay your bills online and conduct nearly all of your banking business by simply visiting BurlingBank.com.